Pakistani scientists and researchers are continuing to produced highly cited research in spite of serious economic and security challenges. Enrollment in higher education is rising and giving a boost to academic research. With better policy focus and more investment in higher education, Pakistan can make an even greater impact with its young demographics. The report denotes that in 2012, in the category normalised citation impact (CNCI), Pakistan was higher than all BRIC countries besides, the percentages of documents cited and the percentage of highly cited papers are also greater. As per data, the total percentage of documents by all the BRIC countries cited during 2006-2015 is 59.73 per cent while it was 62.27 per cent for Pakistan alone. 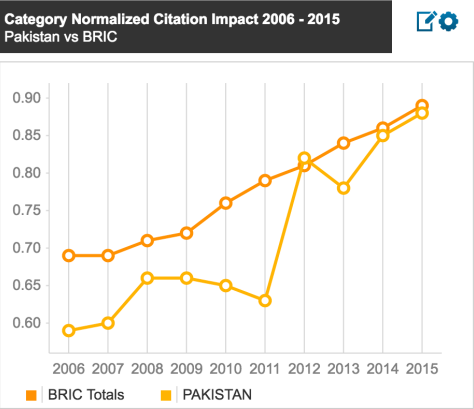 Similarly, percentage of BRIC’s highly cited papers during the same period was 0.57 per cent while it was 0.71 per cent in Pakistan’s case. When compared with six major fields of sciences, Pakistan has the best CNCI in engineering and technology, showing focus on applied research. The data on natural sciences shows a steady increase while medical and health sciences have witnessed large fluctuations. The humanities group has witnessed a steep slope in 2015 after soaring way higher in 2014. The group of agricultural sciences has hit a rock-bottom in 2015 compared to BRIC countries. Natural sciences documents have been cited 34,538 times followed by medical and health sciences with 15,973 times while humanities with the lowest citations. Educationist and physicist Pervez Hoodbhoy refused to buy the claims of the report, saying the results of the report were counter-intuitive and flatly contradict with what one daily observed and experiences inside any Pakistani university. Another Pakistani theoretical physicist with a doctorate from the Massachusetts Institute of Technology, Amer Iqbal, also criticised the findings of the report, stating that “highly cited is not always the same as highly influential”. Pakistan’s largest tracking service provider is planning to expand its mapping service to Bangladesh, Iran and Sri Lanka within three years to cater to the under-served countries with a combined population larger than Eurozone. The company, which rivals Alphabet Inc.’s Google map business, is aiming to make its app one of the most frequently used mobile applications by providing services such as food delivery and e-commerce. Started in Pakistan last month, TPL’s maps will begin generating revenue in six months. 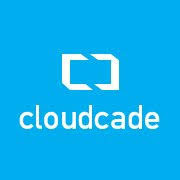 The application will be free for users with the company planning to sell advertisement space. TPL Trakker’s stock rose 2 percent, the most in a week, to 12.3 rupees at close in Karachi on Friday. Shares have fallen 17.6 percent this year, compared with a 21 percent gain in the nation’s benchmark index. The company also supplies maps to cars sold by Toyota Motor Corp.’s Pakistan unit as part of its navigation system. TPL plans to add the service to another automobile company by June, Jameel said. The company is seeking to boost revenue to as much as 12 billion rupees ($114 million) in four years from 2 billion rupees, he said. Google Maps which started over a decade ago as a desktop mapping service has become one of the search engine’s most-used smartphone global app products offering satellite imagery and street maps. The market leader provides live traffic data in 60 countries and constantly adds newer features customized to each location. The U.S. company has run into hurdles with authorities of some nations. Google’s camera-mounted cars were to roam Indian cities collecting imagery from roads and public locations for its free Street View service but the nation’s Home Ministry rejected plans in June. Indian security agencies have expressed apprehensions as the country has had multiple terrorist incidents with attackers extensively photographing targets in advance. 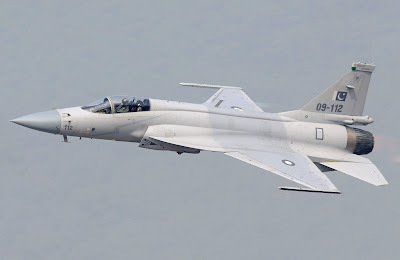 Jameel got permission earlier this year for Pakistan after applying eight years ago with the government’s mapping organization called Survey of Pakistan. The group also plans to start construction of a high-end residential building in Pakistan’s commercial capital in January after listing its property business, which includes an office building that fetches the highest rent in Karachi, according to Jameel. Property prices have more than doubled since 2012 in the coastal city that’s recovering from decades of sectarian violence, bombings and kidnappings. Taking home third prize at the Global Innovation through Science and Technology (GIST) Tech-I Startup Competition held at Stanford University this year, WonderTree, a Pakistani start-up from Karachi, is on the road to aiding children with special needs by way of its thoroughly interactive augmented reality games. For Muhammad Usman, the start-up’s co-founder and Chief Technical Officer, the birth of WonderTree swiftly took shape in 2015, when he saw his older brother (born with special needs) enjoying playing a game on his PlayStation. “It was then when all the dots connected and I realized what I wanted to do,” Usman stated. Working closely with special education teachers, occupational therapists and psychologists, the start-up has currently developed four games that are best suited for children with autism, down syndrome, cerebral palsy, ADHD, and other mental disabilities. With just a kinect v2 sensor, a television and a laptop as the only hardware required to play the games, WonderTree’s technology assists in developing motor, cognitive and functional skills for children with learning disabilities. But that’s not all; the start-up’s games feature an in-built reporting system which helps the developers track and document each child’s performance. The (Pakistan) minister (Ahsan Iqbal), while announcing Rs1 billion grants for the University of Swabi said the government is committed to increase access to higher education and for that purpose sub-campuses and virtual campuses of the universities would be established with assistance of Higher Education Commission at district level in the next three years. He said the government wants that every student irrespective of their financial status get higher education near their homes and no student leaves their education incomplete due to financial constraints. Quality education and access to higher education is the right of every citizen of Pakistan and the government to fulfill this national obligation has established a network of quality educational institutes to facilitate students, he said. Iqbal said the past regimes had restricted bilateral relations with US to defense cooperation, but the Nawaz Sharif’s government after coming into power had widened scope of the bilateral relationship with US and laid the foundation of multi dimensional ‘Pak-US Knowledge Corridor’ to bring educational revolution in the country. Pak-US knowledge corridor is one of the most significant initiatives of Pakistan Muslim League-Nawaz government in the entire diplomatic history of Pakistan with the United States. Under the program, as many as 10,000 talented Pakistani scholars would be enrolled in the top US universities in the next 10 years under Pakistan Vision 2025 for transforming the country into knowledge economy essential for sustained development. In 1998, total number of PhDs in science and technology in the country was 350. The number now increased to 7,500 PhDs whereas 3,000 more PhDs are being produced to cater to the educational and research needs of the country. Iqbal said the government accorded top priority to human resource development and took measures for increasing higher education budget during the last three and half years to bring educational revolution in the country. Education budget, for the Higher Education Commission (HEC), which was only Rs100 billion between 2010 and 2013, increased to record Rs2,015 billion between 2013 and 2016. As many as Rs1.4 billion budget that was allocated to three mega HEC projects in Khyber Pakthunkhwa in 2010-13 had been enhanced to record Rs11.4 billion for 13 HEC projects in KP. Starting its journey in 1947 with only one university, the University of the Punjab (established in 1882), Pakistan today has 177 universities and degree awarding institutions (DAIs), spreading across its map and the number is growing fast. Of these 177 universities and DAIs, 103 are public while the rest have been established by the private sector. The government has awarded charter to 33 of these universities and DAIs while the rest have been chartered by the respective provincial governments. The federally chartered universities and the DAIs are mostly located in the federal capital, Islamabad, but some operate in other cities of the country too. For example, the Karakoram International University is a federal chartered university and is based in Gilgit-Baltistan. Pakistan’s most populous province, Punjab, with an estimated population of over 90 million, half of the country’s total population, is on top of the rank with its 51 chartered universities and DAIs (27 public and 24 private) while the Sindh province, which has almost population equal to half of Punjab’s, ranks second with its 49 universities and DAIs. But unlike Punjab, Sindh province has more private universities and DAIs as only 20 out of 49 are public. Khyber Pakhtunkhwa (KP) has 29 universities, Balochistan province eight while there are seven universities chartered by the Azad Jammu & Kashmir (AJK) government. 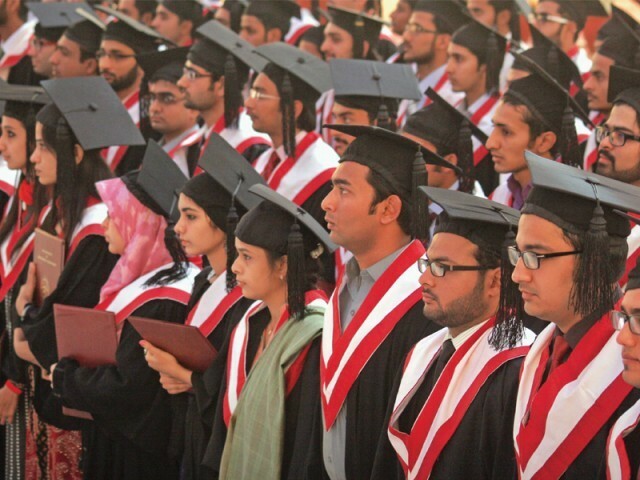 From 1947 to 2014, Pakistan’s higher education institutes (HEIs) produced 11,988 PhDs. As of 2014, Pakistan, having an estimated population of over 180 million, had student enrollment of 1.4 million, including over 900 foreign students and Afghan refugees, studying in various HEIs. The percentage of female students in the HEIs was around 40 percent. From 1947 to 2002, Pakistani universities had produced only over 3,000 PhDs. However, the country witnessed a sharp rise vis-à-vis PhDs produced per year. From 202 in the year 2001 before the Higher Education Commission (HEC) was established, to 1,211 PhDs in year 2013 and 1,325 PhDs in the year 2014. Most of the PhDs, 1,541, were produced in Language and Literature, followed by 1,462 in Chemistry and 933 in Agriculture. Up to the year 2014, the country’s HEIs had produced only 500 PhDs in Engineering and Technology while 908 PhDs were awarded in Religious Studies. The University Grants Commission (UGC) which drew its powers from The University Grants Commission Act, 1974 was replaced by the Higher Education Commission (HEC) in 2002. A comparison of funding to the universities by the UGC and the HEC is enough to understand the level of commitment to higher education by the successive governments in Pakistan. The UGC provided funding of PKR 7,538.835 million to the universities from financial year 1978-79 to 2001-02 while after the establishment of the HEC, a whopping PKR 115,413.194 million have been pumped into universities by the commission from the financial year 2002-03 to 2015-16. Pakistan is a fascinating country with beautiful natural scenery, a rich culture and a complex history. The country stretches from the shores of the Arabian sea in the south to the towering heights of the Himalayas in the north, and encompasses the Indus River valley, a cradle of human civilization and home to some of the world’s most ancient cultures. Over the millennia the land has been ruled by many different kingdoms, Hindus, Muslims, Mongols, Sikhs, Achaemenids, Mughals and the British have all controlled parts of modern-day Pakistan. The country today is an ethnic and linguistic patchwork (more than 60 languages are spoken in Pakistan) where the people mirror the incredible diversity of its landscapes and geography. Pakistan has around 170 public and private higher education institutions, some of which date back to when the country was first established. Following the establishment of Pakistan as an independent country the government built several universities to provide vital skills to the newly-formed republic, especially in the sciences and engineering. That legacy continues to this day with many universities retaining a focus on science, medicine and technology. Many Pakistani universities actively encourage foreign students to enrol, and large numbers choose to study abroad in Pakistan. Students come from as far afield as Saudi Arabia, Africa and China as well as some from America and Europe. Higher education is delivered in English at all public universities in Pakistan which, combined with the relatively low cost of living, makes studying abroad here an attractive option. The COMSATS Institute of Information Technology, or CIIT for short, was established in 1994 by the commission on Science and Technology for Sustainable Development in the South, an intergovernmental organisation whose goal is to promote sustainable growth in developing countries through science and technology. CIIT is spread over six campuses with the main campus in the capital city, Islamabad. The National University of Sciences and Technology (NUST) is a public research university based in Islamabad. The university was founded in 1991 to further the provision of science, technology, engineering and mathematics (STEM) subjects in Pakistan’s higher education system. Also based in Islamabad, Quaid-i-azam University was founded in 1977 to further the study of postgraduate education. A public research university, Quaid-i-azam University was called Islamabad University when it first opened. Since those days the institution has broadened its curriculum and is now proud to call itself an interdisciplinary university offering postgraduate and undergraduate degrees. A record-breaking 8m students will graduate from Chinese universities in 2017. This figure is nearly ten times higher than it was in 1997 and is more than double the number of students who will graduate this year in the US. Just two decades ago, higher education in China was a rare privilege enjoyed by a small, urban elite. But everything changed in 1999, when the government launched a program to massively expand university attendance. 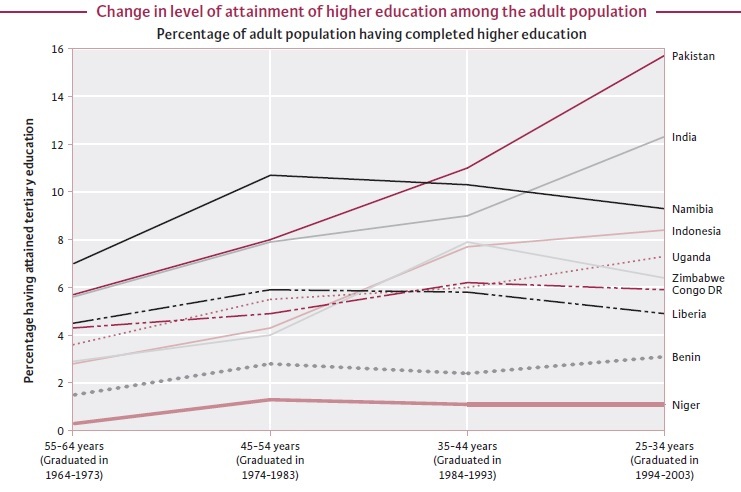 In that year alone university admissions increased by nearly 50% and this average annual growth rate persisted for the next 15 years, creating the largest influx of university educated workers into the labour market in history. Growth in the number of engineering students has been particularly explosive as part of the government’s push to develop a technical workforce which can drive innovation. But overall student numbers have increased in all subjects – even in the humanities and social sciences. New universities have sprung up and student enrolment numbers have rocketed. The second most popular subject major is in fact literature – and the fastest growing is law. In 2013, Chinese citizens started blogging about the “hardest job hunting season in history” – and each year it seems to get harder for Chinese graduates. In 2017 there will be 1m more new graduates than there were in 2013. And yet, the graduate unemployment rate has remained relatively stable – according to MyCOS Research Institute, only 8% of students who graduated in 2015 were unemployed six months after graduating. But if you delve a little deeper it’s clear that unemployment rates mask the more subtle issue of “underemployment”. While most graduates eventually find work, too many end up in part-time, low-paid jobs. Six months after graduating, one in four Chinese university students have a salary that is below the average salary of a migrant worker, according to MyCOS data. History, law and literature have some of the lowest starting salaries, and also the lowest employment rates. And for students who choose arts and humanities subjects in high school, the average starting salary after university is lower than that of their classmates who didn’t go to university, according to survey data. Of the 50 most common graduate occupations, 30% are low-skilled and don’t require a degree. For these students, low starting salaries and limited career progression call into question the value of their degree. The high cost of living, particularly in big cities, has also forced millions of graduates into “ant tribes” of urban workers living in squalid conditions – often in basements – working long hours in low-paid jobs. But for a different group of graduates, the contrast is striking. Engineering, economics and science majors in China all enjoy high starting salaries and the top employment rates. These graduates fill the highest-paid entry positions in the most attractive employment sectors of IT, operations, real estate and finance. Chinese tech graduates do particularly well. In 2015 the top five highest paying graduate jobs were all IT related. Indian science is a study in contrasts. With its vast population and rapidly expanding economy, the country has ramped up scientiﬁc production at an impressive rate. India started the twenty-ﬁrst century well behind Russia, France, Italy and Canada in terms of yearly publications and it now leads them all by healthy margins. It is quickly closing in on Japan. Despite those gains, India is not yet a major player in world science. Its publications generate fewer citations on average than do those of other science-focused nations, including other emerging countries such as Brazil and China. Relative to its size, India has very few scientists; many Indian-born researchers leave for positions abroad and very few foreign scientists settle in India. The country invests a scant portion of its economy in research and development (R&D), and it produces relatively few patents per capita compared with other nations. The number of patents granted by India jumped 50 per cent to 12,387 in 2017 as compared to 8,248 granted in the previous year, according to data released by the UN's World Intellectual Property Organisation (WIPO). India granted 86 per cent (10,675) of the total patents to foreigners as compared to 14 per cent (1,712) awarded to entities and individuals based in India. "Filing abroad reflects the globalisation of intellectual property (IP) protection and a desire to commercialise technology in foreign markets. The costs of filing abroad can be substantial, so the patents for which applicants seek international protection are likely to confer higher values," quoted the report released by WIPO in Geneva on Monday. Among other factors, technological specialisation, proximity and market size influence cross-border applications, the report highlighted.